DEWALT unveils the FLEXVOLT™ system, which features the world’s first batteries that automatically change voltage when the user changes tools. Two FLEXVOLT™ batteries, a 6.0Ah battery (DCB606) available in the fall of 2016 and a 9.0Ah battery (DCB609) available in early 2017, power the lineup of brushless 60V MAX* and 120V MAX* FLEXVOLT™ tools. What makes these two FLEXVOLT™ batteries extremely innovative are their patent-pending technology that is backwards compatible with most existing DEWALT 20V MAX* tools and chargers. 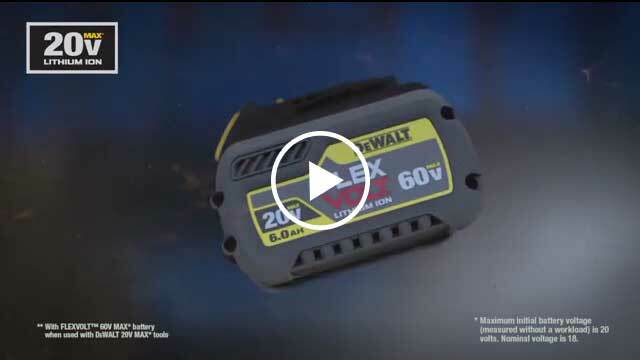 When used in DEWALT 20V MAX* tools, the 6.0Ah FLEXVOLT™ battery provides up to 4X runtime**. 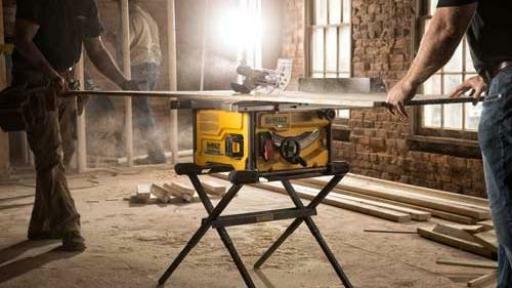 In addition, the FLEXVOLT™ battery provides more than 3X battery power versus DEWALT 18V NiCad. 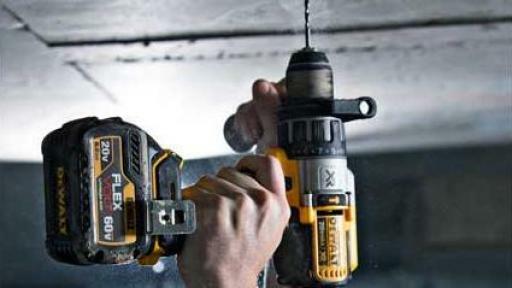 The key to this technology is the ability of the FLEXVOLT™ batteries to switch between DEWALT tools of varying voltages (20V MAX*, 60V MAX* and 120V MAX*). The FLEXVOLT™ batteries automatically change voltage depending on whether they're being used in a 20V MAX* or 60V MAX* tool. 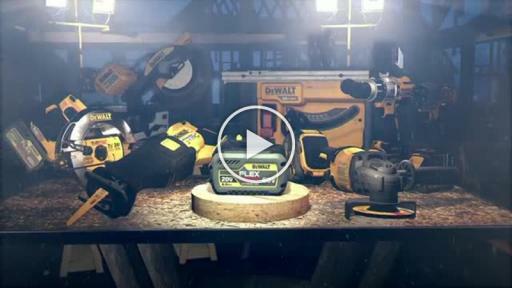 Two FLEXVOLT™ batteries (of same amp hour) together power the new DEWALT 120V MAX* tools. 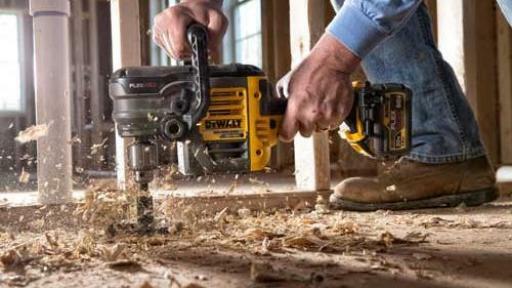 This means that high power tool applications that previously could only be accomplished by corded tools, can now be performed with the DEWALT FLEXVOLT™ system of cordless tools. 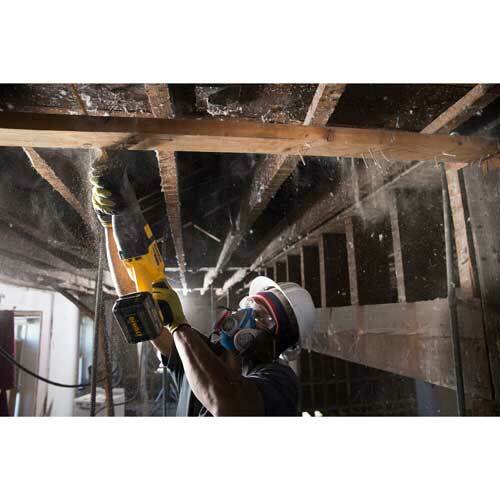 As a result of this advanced battery technology, jobsites can now fully transition from corded to the freedom of cordless. 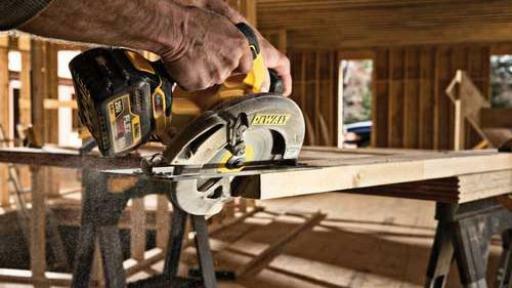 Both the 6.0Ah & 9.0Ah batteries will extend the runtime of existing DEWALT 20V MAX* tools, and also power five new 60V MAX* tools and two new 120V MAX* tools (with 2 FLEXVOLT™ batteries). 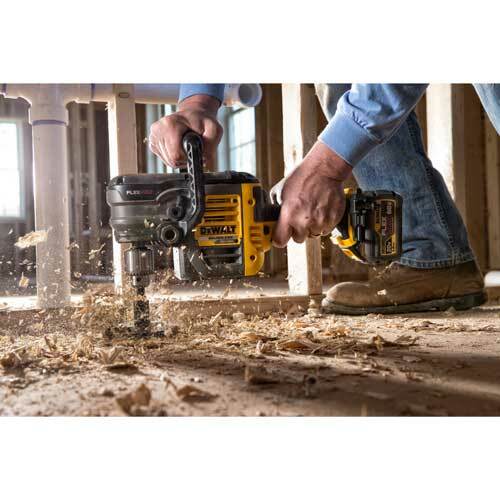 The new 60V MAX* FLEXVOLT™ brushless tools include a 7-1/4” Circular Saw (DCS575), 4-1/2”-6” Grinder (DCG414), Reciprocating Saw (DCS388), 1/2" VSR Stud and Joist Drill (DCD460), and 8-1/4” Table Saw (DCS7485). 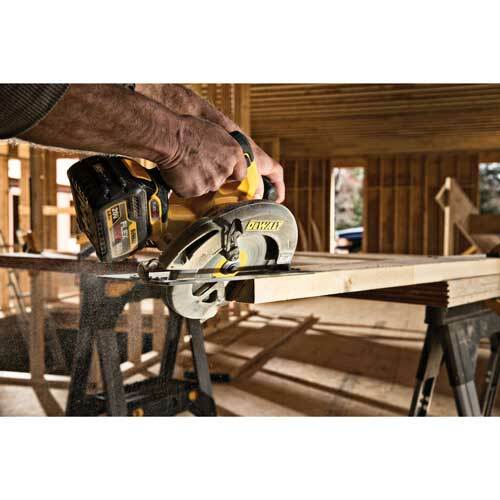 The new 120V MAX* FLEXVOLT™ tools are a 12” Fixed Head Compound Miter Saw (DHS716) and 12” Sliding Compound Miter Saw (DHS790). Also capable of operating off of the FLEXVOLT™ battery platform are new 20V MAX* tools, including a Portable Power Station (DCB1800), 20V MAX* Bluetooth® Radio Charger (DCR025) and 20V MAX* Bluetooth® LED Area Light (DCL070). 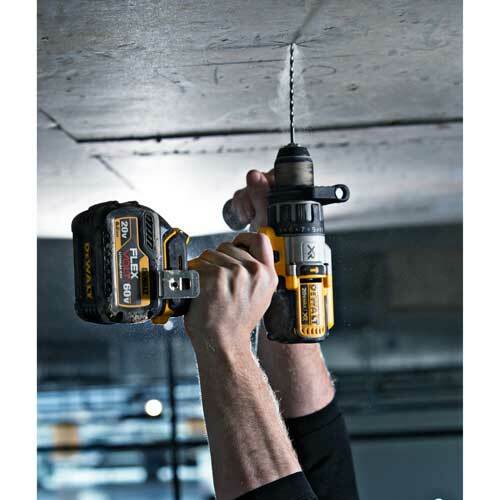 DEWALT’s 20V MAX* Hammer Drill & Impact Driver Combination Kit (DCK299) will also be offered kitted with a 6.0Ah FLEXVOLT™ battery in addition to a 2.0Ah battery. 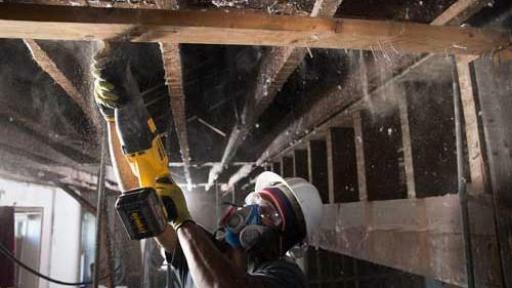 In addition to the tools, FLEXVOLT™ High Efficiency Accessories™ are Engineered to Maximize Runtime™. 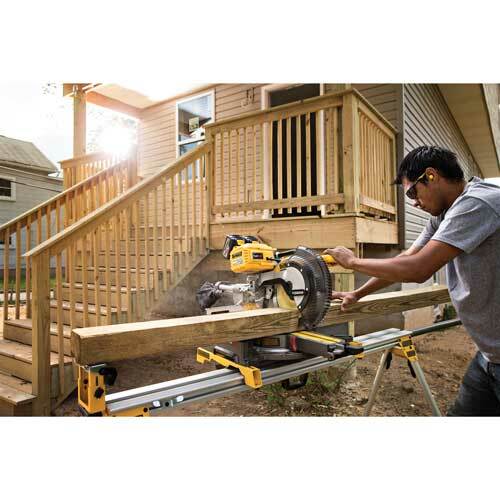 This new line is optimized for use with cordless power tools and is engineered to deliver more cuts or holes per charge than standard DEWALT accessories. 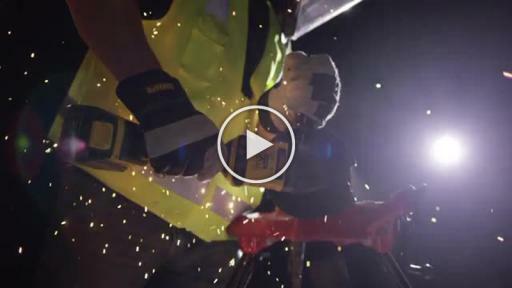 DEWALT continues to develop tools that provide more power and runtime, and combined with FLEXVOLT™ battery technology, completely cordless jobsites are within reach. 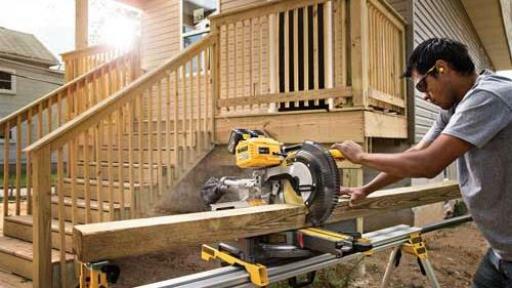 Without the hassle of cords or generators, cordless tools now have the runtime and power needed to complete almost any construction task. 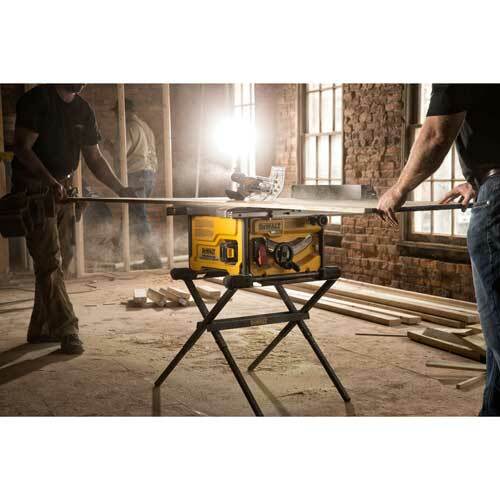 The FLEXVOLT™ tools and 6.0Ah battery will be available fall 2016, and the 9.0Ah battery will be available in early 2017, where DEWALT products are sold. Each FLEXVOLT™ tool comes with the standard DEWALT 3 year limited warranty, 1 year free service, and 90 day money back guarantee while the FLEXVOLT™ batteries come with a 3 year limited warranty, 3 year free service, and 90 day money back guarantee. With respect to 120V MAX* - Based on using 2 DEWALT 60V MAX* batteries, combined having a maximum initial battery voltage (measured without a workload) of 120 volts and a nominal voltage of 108.